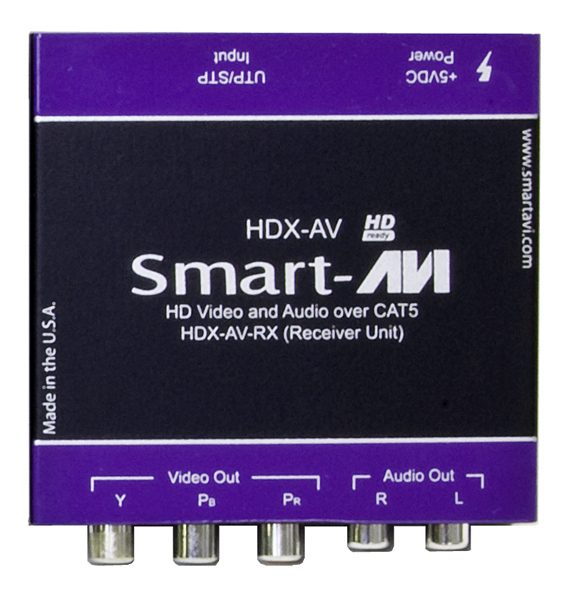 SmartAVI's HDX-AV is a high-resolution HDTV component video and stereo audio extender with a broadcasting range of 1000 feet using a single CAT5 cable. 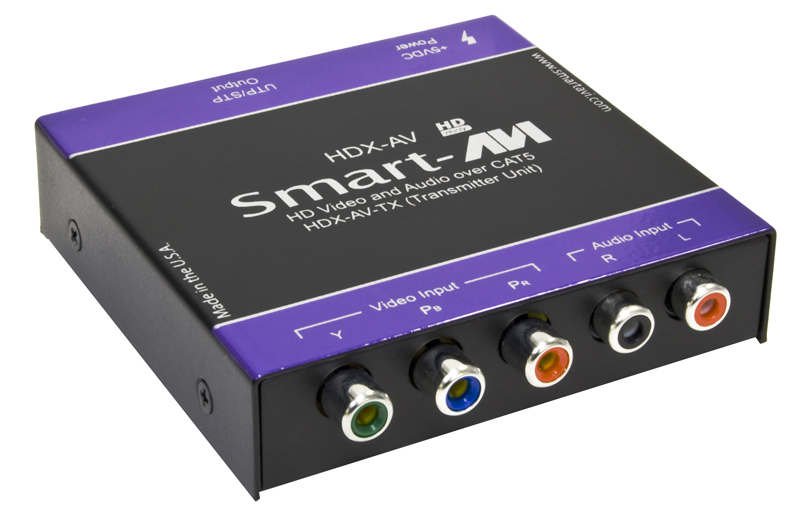 High Definition AV Extension for Home Theater Integrators The HDX-AV is specially geared toward home-entertainment systems and in-house theaters. With a maximum output resolution of 1080p (1920x1080) Full HD, the HDX-AV is an excellent extension solution for those who prize high quality viewing experiences at an affordable price. 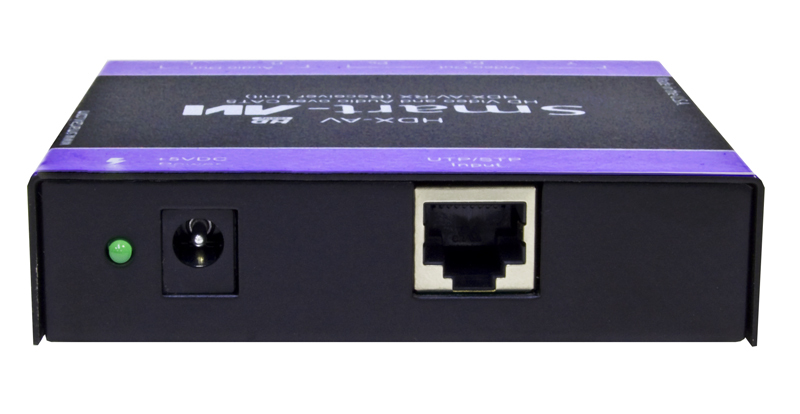 The HDX-AV's CAT5 extension is one of the most popular methods of boosting AV signal ranges on the market, not to mention one of the most cost-efficient. 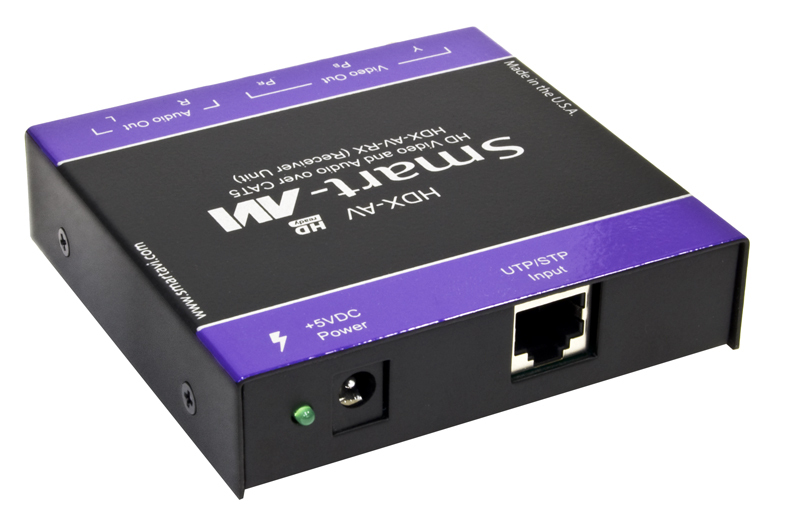 For an extension solution that is both user and wallet-friendly, look no further than the HDX-AV. 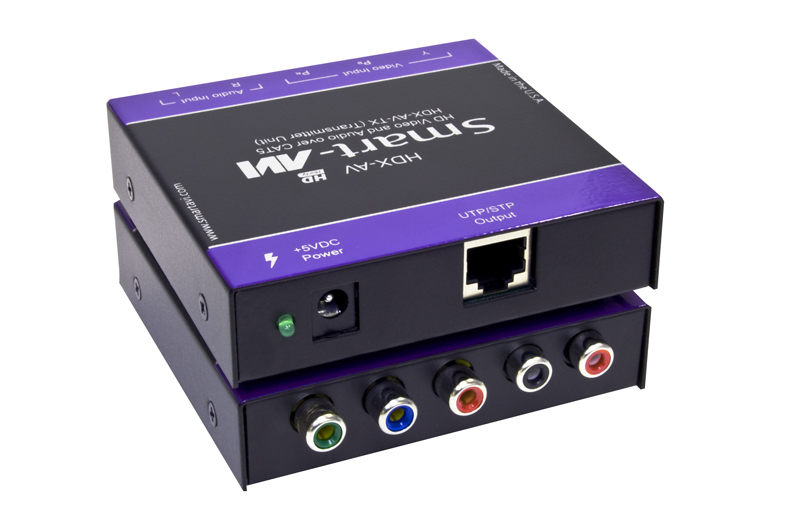 Take Control of your home theater The HDX-AV has been carefully designed to be compact and aesthetically pleasing for simple and professional home theater integration. While most home theater systems are relatively compact in component placement, the HDX-AV makes extending your video and audio signals up to 1,000 feet possible; this is useful in a design that calls for the home theater devices to be set up in a different location, away from the viewing area.